We provide any disabled child, regardless of their level of disability, the opportunity to play league sports and enjoy the emotional and physical benefits of being part of a team sport. The mission of the Miracle League Northshore is to promote the health and well-being of children with disabilities, provide opportunities for able-bodied children to learn about and interact with children with disabilities, and develop community awareness and support for the child athlete with disabilities through organized sports leagues. The Miracle League is designed to serve kids who cannot be accommodated by established baseball, basketball and soccer leagues due to their unique abilities. Each program year is divided into two, eight-week baseball seasons that run in the Fall and Spring. Our soccer season runs during the Winter months and basketball is played in the Summer. We try to hold all games on Saturdays. 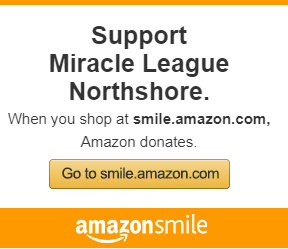 Miracle League Northshore was founded in 2014 in an effort to bring the Miracle League to serve St. Tammany, Tangipahoa, and Washington Parishes. A parent at Coquille Parks and Recreation with a special needs child approached the Recreation District 14 Board of Directors to begin the conversation and the campaign to make this dream a reality on the Northshore. After 5 years of fundraising and over 9 months of fundraising, the Miracle League has a home facility at Coquille.